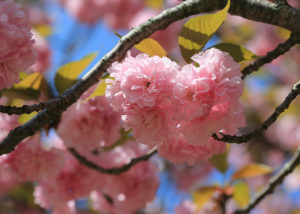 Photo Essay: Spring arrives, finally! Although by the time you see this, winter might be back. 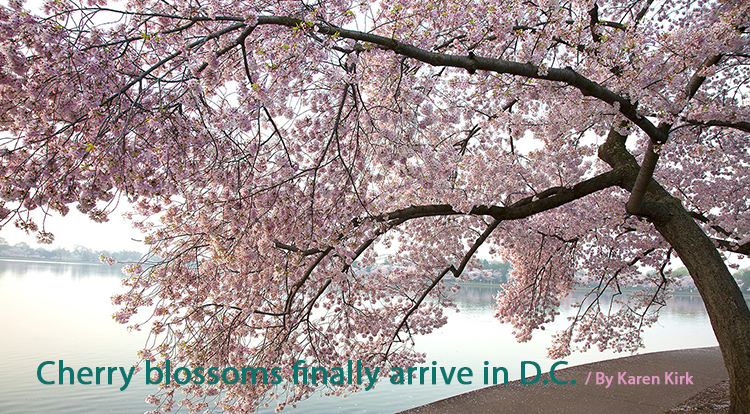 The Yoshino cherry blossoms finally peaked around the Tidal Basin in Washington, D.C., along with every blooming plant and tree in the metro area. Achoo! The colder than average March temperatures delayed the blossoms, which originally had been forecast to reach peak from March 17-20. Around a million people come to D.C. each year for this rite of spring. Double cherry blossoms bloom in the streets of Vienna, VA (left). 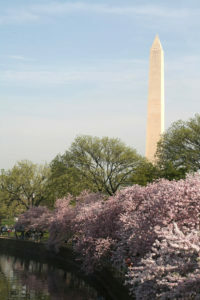 The Washington Monument looks lovelier with cherry blossoms in the foreground. 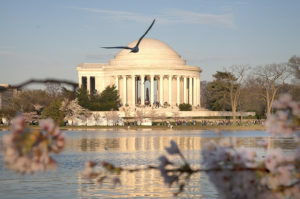 About a million people come to the Tidal Basin in Washington, D.C. each spring to view the blossoms at the Jefferson Memorial. 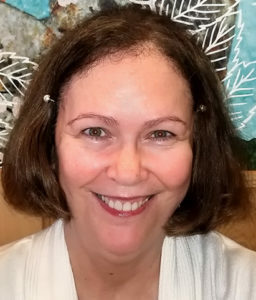 Karen Kirk is a retired journalist.